Terry Gilliam has made numerous attempts to adapt Miguel de Cervantes‘ Don Quixote into a film for the last 20 years. There were a total of eight attempts, and each ended in some sort of failure due to budgets, weather, or in some cases noise pollution. But now Gilliam can finally bring his passion project to life. And there is the first look at the film. A new trailer has just dropped giving us an idea of a contemporary adaptation of the novel. In it, we see Adam Driver, playing Toby Grisoni, an ad exec who has taken on the role of Sancho Panza, Don Quixote’s faithful squire; and Jonathan Pryce as Don Quixote, an old man convinced he is the famous literature character. The deal of the day over at RIPT Apparel today is for two Star Wars-inspired designs: a mash-up with Don Quixote called “Han Quixote” (see image below) by fishbiscuit and “Bounty Rhapsody,” a mash-up with Queen (see image above) by dorksince83. 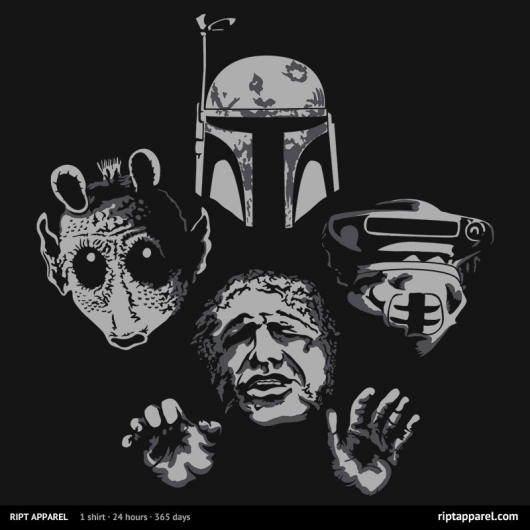 Both designs went on sale at RIPT today, Wednesday, February 19, 2014, at midnight CST, and will continue for 24 hours from then, and once it’s over, it will not be sold on the site anymore. The large Israel bookstore chain Steimatzky Books have launched a brilliant ad campaign to promote their stores that features readers sleeping in bed beside popular literary characters, like Sir Arthur Conan Doyle’s super sleuth Sherlock Holmes, the wizard Gandalf from J.R.R Tolkien’s Lord Of The Rings trilogy, and Cervantes’ Don Quixote. Steimatzky teamed up with the Israeli advertising agency ACW Grey Tel-Aviv to create the ads, which all carry the slogan “The right book will always keep you company.” In the ads, the regular people are seen sleeping in a very IKEA bedroom-like setting with copies of the books that the characters appear in, while those characters lie sleeping beside them. 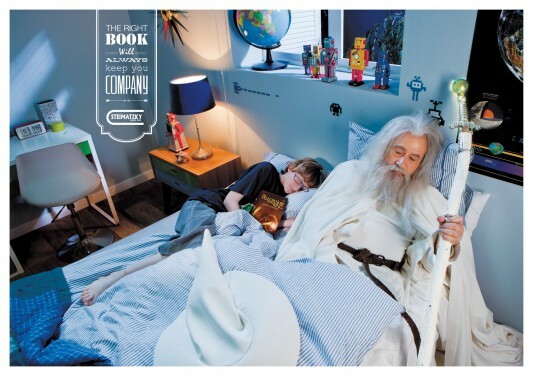 The Gandalf photo ad is here above, and you can watch its TV commercial here below. There’s also a few of the other ads here below. Whether or not Terry Gilliam is interested once again in adapting Miguel de Cervantes’ Don Quixote for the big screen is unknown. But you can’t blame the man for passing on the project all together. 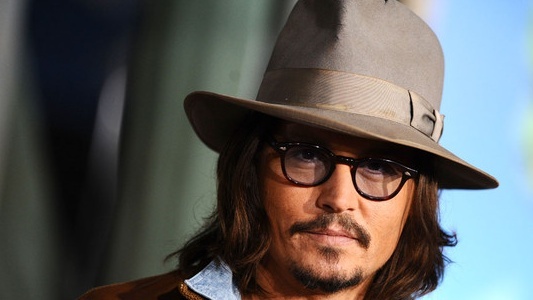 His first attempt at adapting the novel, which would have starred Johnny Depp, was hampered by inclement weather, illness, and other obstacles. So Gilliam decided to give it a second try, this time this time starring Robert Duvall; however, financial problems prevented the project from getting off the ground. So far there hasn’t been any word of Gilliam going for try number three. The director is currently busy working on his new film, The Zero Theorem. But the story of Don Quixote will not die; in fact, Disney will revive Cervantes’ tale and Johnny Depp could star in it.